Photo: Lower Lyman Lake view. As I stand locked into my skis, hovering on the brink of a steep slope of powder and cliffs, I am struck by how big the country is back here. The surrounding peaks are intimidating, vertical, dark… which provides quite a contrast to the flawless day. But it’s not perfect – the temperatures have warmed too much. 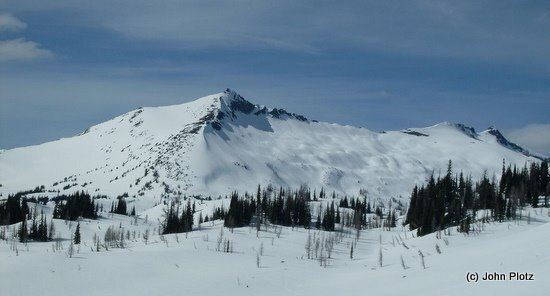 From my current vantage point, Buck Mountain, Chiwawa, and Fortress loom with indifference to my current predicament: I have to ski this slope below me back to Lyman Basin because the alternative of a horizontal skin back the way I came is just too risky. That sounds absurd considering the consequences of failure on this particular pitch of skiing: Losing an edge and sliding for life over the cliffs. Nonetheless, reversing my track back to Spider Gap means crossing under sagging cornices that are melting in the sun and are ready to collapse. This could easily trap or crush me in sliding debris. No. It’s all downhill from here. Time to go. I say a quick “Our Father,” and push off. I’m not conscious of my labored breathing until I reach the safety of the frozen lake 2,000 feet below. I laugh out loud in a nervous reflex of relief, happy to be in a safe spot. I can slowly let my guard down now and bask in the warm sun beating down on the frozen surface of Upper Lyman Lake. I drink in the silence. I’ve taken a week off of work to be here. The eight-mile hike from Holden Village up to my camp spot at Lower Lyman Lake just about killed me yesterday. I forgot there was no sharing of provisions when one solo camps. I had arrived at my base camp with aching shoulders and a splitting headache from the weight of my pack. I had to force myself to eat through a fatigue-induced nausea. To top it off, I usually suffer from insomnia the first couple nights out in the wilderness, with last night being no exception to the rule. Chiwawa rises nearly 3,000 feet above upper Lyman Lake. The glacier’s slope ascends to the summit at a consistent pitch. 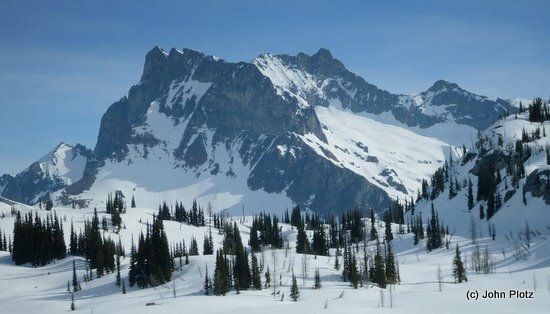 As with many Cascadian glaciers, the Lyman is nearly extinct. Today, with the earlier start my anxiety of the corniced snow visors high above me are securely frozen to the ridges, for now anyway. I’m quick, but not in a hurry. Three hours after starting out, I touch the top of Chiwawa. To the southwest of me is Fortress Mountain. 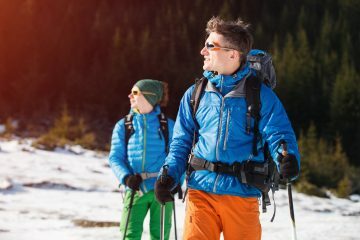 Its north face truly resembles that of an ice and rock fortress. The morning heat has snow cascading down its many gullies at a non-stop pace. The sound resembles a constant thunder storm. Some slides are enormous, while others are small but it all sounds foreboding to me. I’m being pulled in two opposing directions. I want to hang out here on top and enjoy the fruits of my labor. But the more time I spend on Chiwawa’s summit, the warmer it gets down low. There’s little time to reflect…or to appreciate the steep valleys below. I click in and take tentative turns down the 40 degree north face of Chiwawa. I reach softer snow after 500 feet, and ski the next 2,000 feet of mushy corn to the last steep pitch of Lyman Glacier. I carefully ski cut the slope, letting the gloppy snow create its own wet slide. I can ski safely behind these sloughs, and make it down to neutral ground. I take off my boots and socks on a flat, iron-red rock rich with ore, my eyes tracing the tiny arcs my skis left from the pointed summit down to my resting place. Ten minutes after laying down, three large avalanches rumble down and erase the lower tracks I scribbled on the glacier. Rather than feeling smug, I’m sheepish that any number of delays or circumstances could have placed me in the middle of those torrents. I get the feeling that this is sacred territory, and I was allowed to leave my mark, albeit only temporary. I’m sure in a few days there will be no trace of my presence here. I’m also uneasy due to the constant stress of avalanche; this somehow isn’t feeling like a vacation. I look over to the friendly slopes of Cloudy Peak and make that my destination for tomorrow. Tomorrow is to have fun only. No risk. 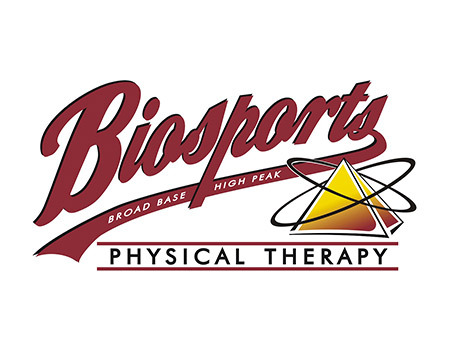 I’m packing up in the heat of the afternoon, anxious to get the 8 mile hike back to Holden out of the way. The clouds are moving in. I look up but can’t make out my tracks on Cloudy Peak from this morning. The ascent and descent had been refreshingly uneventful. I keep glancing out across Lower Lyman Lake, hoping to see the wolverine that laid its paw prints across it earlier this morning. I grunt and whimper as I swing my bloated backpack onto my sunburned shoulders. Though most my food is gone, my pack still feels distressingly heavy. As I’m skinning back to civilization, I wonder what my voice will sound like after not talking with anyone for the last four days. Back near Holden, I light a fire and enjoy my hot cocoa with Bailey’s. I start to nod off watching the flames in the dark. I crawl into my tent and bag and sleep quite well as the wind blows through the canopy of fir trees around me. Finally, this is feeling like a vacation. Difficulty: 2+ to 3. The Lyman Lakes area best accommodates intermediate and advanced ski tourers and snowshoers. Approach: The easiest approach during the spring-skiing season is via Holden Village (operating year-round), accessed by the Lady of the Lake boat/ferry service leaving from the town of Chelan and Fields Point on Lake Chelan. 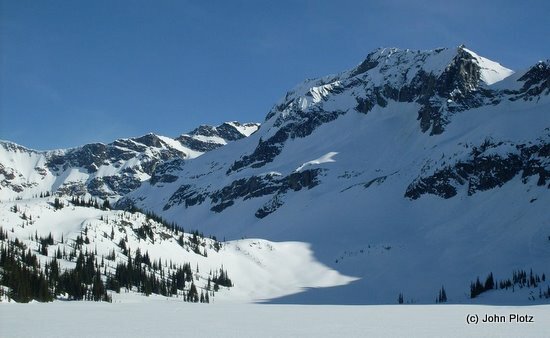 The area can also be approached from the Phelps Creek trailhead (near the end of the Chiwawa River Road), following Phelps to Spider Meadows, and skiing over Spider Gap to Lyman Lake. This latter option is most easily done in earlier season (March) when you can arrange a snowmobile ride up the Chiwawa River Road to the trailhead or in late season (June) once you can drive most of the way up the Chiwawa River Road. Schedules: If approaching from Holden Village, check the Lady of the Lake website (or call 509- 682-2399) for the weekly schedule of service. 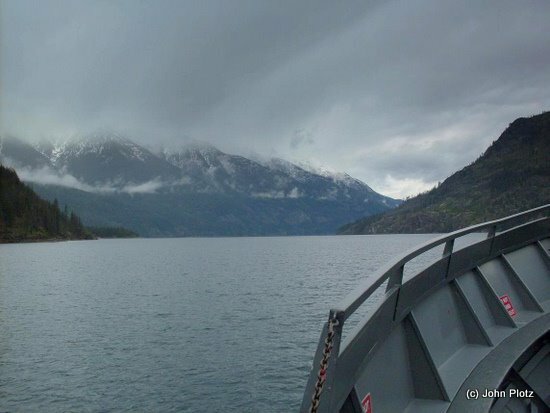 You’ll also want to check with Holden Village (see phonebook for current number) about reserving a ride on their bus ($10) that meets the ferry and transports visitors the 11 miles from boat dock to the village. Trip Instructions. 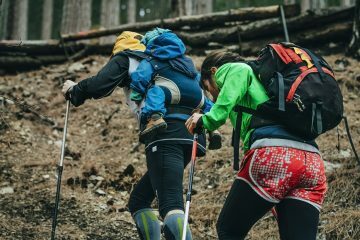 If coming from Holden Village, follow the 3.75-mile trail to Hart Lake and then follow the trail (generally following Railroad Creek) another 4 miles to Lyman Lake. If coming from the Chiwawa River Road, follow the Phelps Creek Trail to Spider Meadows and then climb up and over Spider Gap. Hazards. Avalanches are the main skiing hazard. In spring massive wet slides can sweep many of these slides. 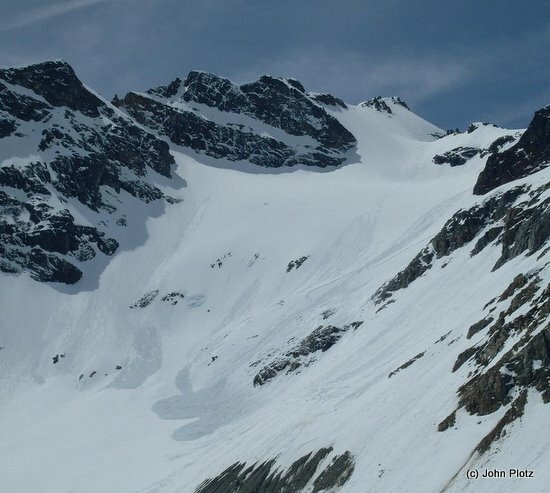 In a good cycle of spring weather when cold nighttime temperatures are freezing the snowpack, the avalanche hazard can be very predictable (extremely safe in the morning when the snowpack is frozen, considerable hazard in the mid to late afternoon when the snowpack gets mushy). Additional Information: See our hiking guidebook and maps describing the Spider Gap hiking traverse post between the Phelps Creek trailhead and Holden Village. Permits. None needed if approaching through Holden Village. Northwest Forest Pass required to park at the Phelps Creek Trailhead near the end of the Chiwawa River Road. 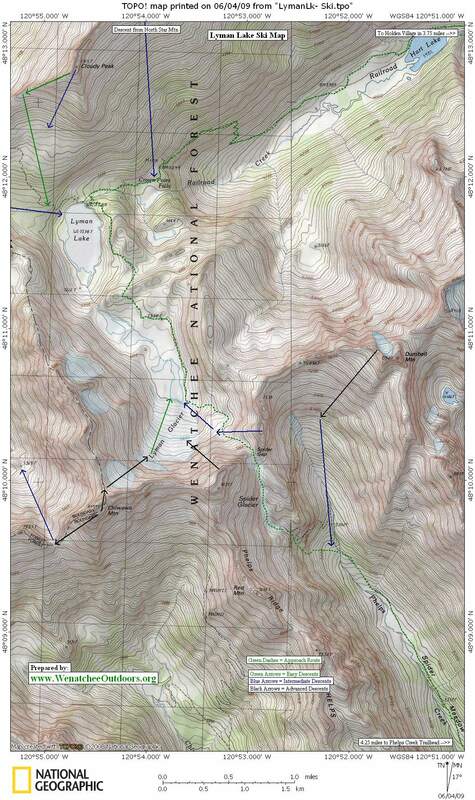 Map: Our topographic map shows the general route and a few of the many ski lines in the area. Print on 8.5”x 14” paper in portrait mode.